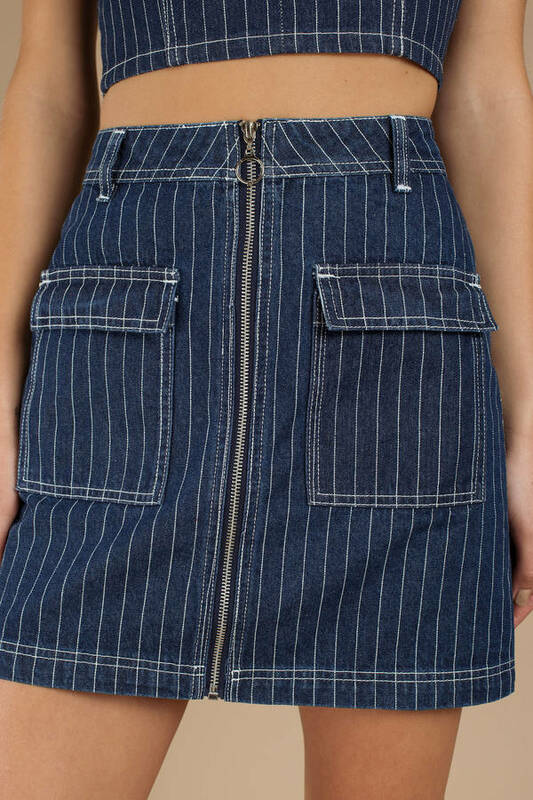 Check out Tobi's Direct Stripe Denim Skirt Party mode: ON. 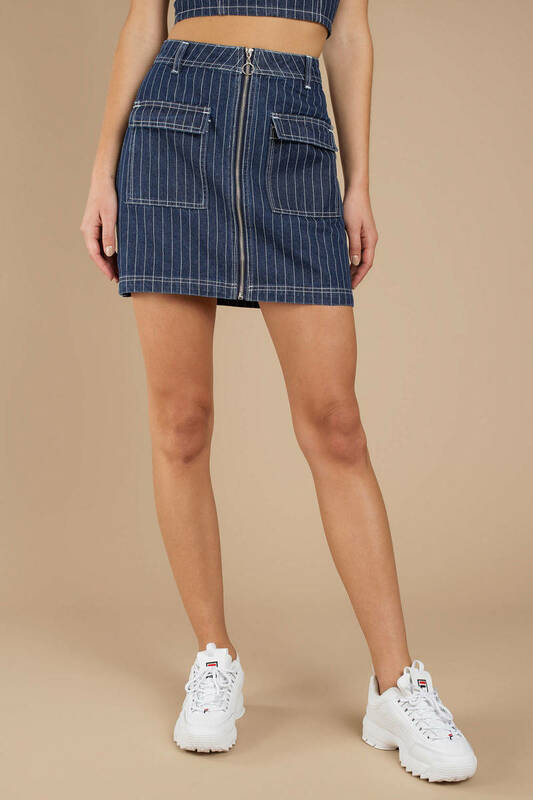 Twin The Label's Direct Stripe Dark Wash Denim Skirt is a double denim dream. This high waisted jean skirt features contrast stitching, stripe print, two large front pockets, and a comfortable tight fit. Pair this jean mini skirt with its match, the Direct Stripe Denim Crop Top, at your next concert! Party mode: ON. Twin The Label's Direct Stripe Dark Wash Denim Skirt is a double denim dream. This high waisted jean skirt features contrast stitching, stripe print, two large front pockets, and a comfortable tight fit. Pair this jean mini skirt with its match, the Direct Stripe Denim Crop Top, at your next concert!